“In an ideal world, the deal would be based on the premise that the biggest polluters agree to shoulder the greatest share of global emissions’ cuts, and commit to providing finance to support countries most affected by climate change – though presently governments are still a long way from agreeing to anything this ambitious or fair,” said Sven Harmeling, Care International climate change advocacy coordinator. “The promise of finance for adaptation is like the perpetually-dangling carrot that the developing countries can never reach no matter how much they do. 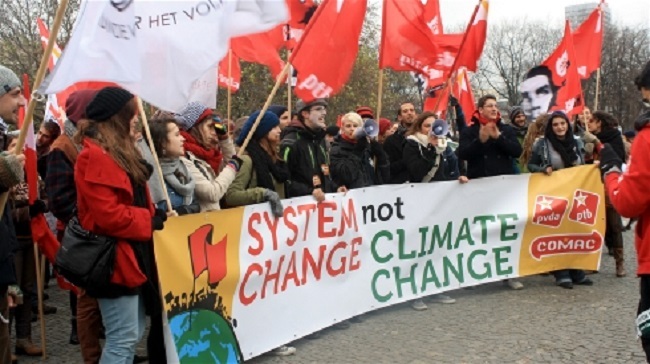 They are being made to look like donkeys by the rich nations who have demanded adaptation policies, plans, and actions, but have reneged on their promise to pay for it,” said Harjeet Singh of ActionAid. “Paris will set a critical signal and will hopefully be a watershed in international cooperation and will” However, “some groups are concerned that a focus on the ability of soils to temporarily absorb carbon could lead to new `carbon land grabs’ by greedy investors interested in carbon trading. Rich countries cannot shift their mitigation responsibilities to small farmers in poor countries, because they have done the least to cause the problem, and they need the most help to adapt,” said Singh. For poor countries “loss and damage” incurred as a result of a changing climate – with citizens forced to relocate or compromise their cultural identity and human dignity – are crucial issues. “Let us remember that Loss and Damage is a litmus test of successful actions on mitigation and adaptation. Decades of inaction have led to unavoidable loss and damage which countries are facing now, and will face even more if we don’t act quickly,” said Singh.